Announcing the winners of the SXSW Creative Experience “Arrow” Awards which celebrate creativity and innovation from brand experiences at SXSW 2019. 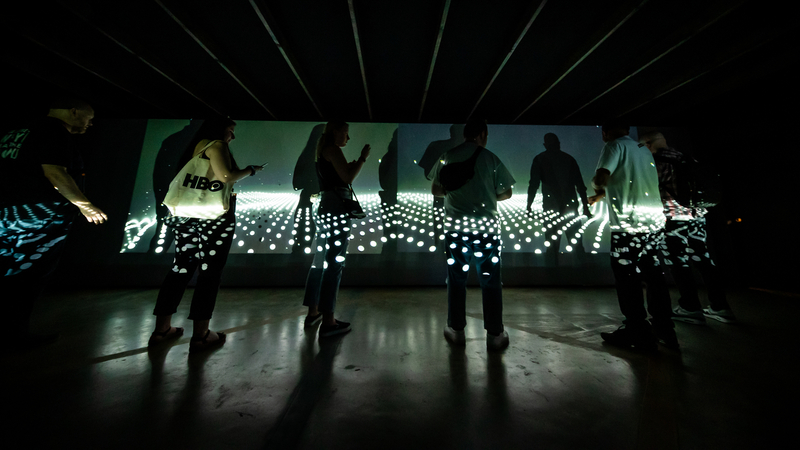 In addition to the three inaugural categories (Best Immersive Experience, Best Use of Technology, and Spirit of SXSW), an additional category was added (Best Exhibition Experience) this year to recognize the creativity and impact of experiences at SXSW, with plans to expand to a larger program in 2020. The SXSW Creative Experience “Arrow” Awards jury was comprised of select SXSW staff and industry advisors. A collaboration between multiple partners, The New Japan Islands immersed visitors in landscapes and visions of the future based on culture original to Japan. The project included more than 25 different activations from a Japanese market scene to food samples to pachinko, from karaoke to J-Pop to haikus—all designed to allow visitors to take deeper looks into Japanese culture, technology and philosophy. The message was “to consider a Nostalgic Future, that is, to revisit the original ways of human life to construct a future that softly connects industry and culture,” according to the project’s website. Perfectly situated in Austin’s historic Driskill Hotel, “The Donald J. Trump Presidential Twitter Library” showcases the Commander-in-Chief’s preferred vessel for communicating with the public, his Twitter feed. In this case, the tweets of Donald J. Trump were curated and displayed in an installation that led participants through a museum-like experience with interactivity and humor. The attraction was a timely fit for SXSW 2019, with its exploration of politics, journalism, and the impact of social media—but also of comedy and entertainment.